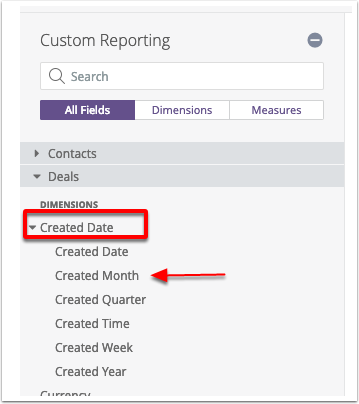 In this article, we'll show you how to create a custom report that shows you the number of deals created over a time range you set, along their current status. 1. Click the "Deals" view located under Explore. This will expand the "Deals" view. 2. Next, you'll need to add a time dimension to the report. 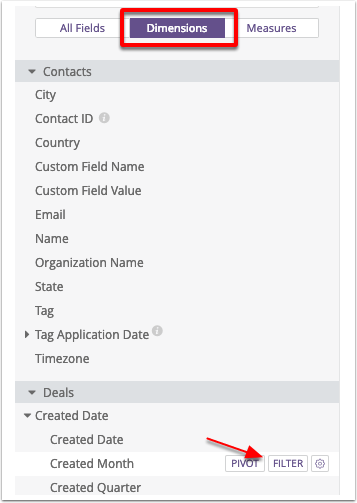 To do so, click "Created Date" then click "Created Month." 3. 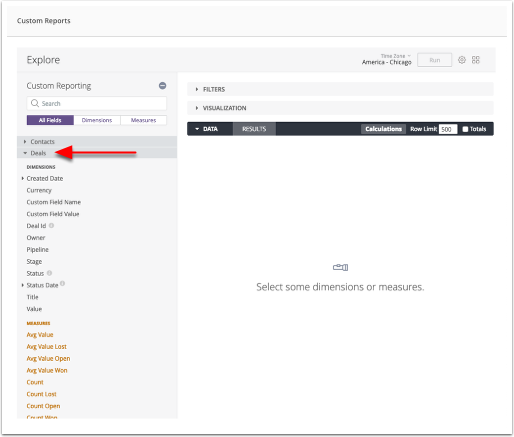 Click the "Dimensions" tab then scroll down to locate the "Status" option. Click "Status." 5. Next, you'll need to add report measures. 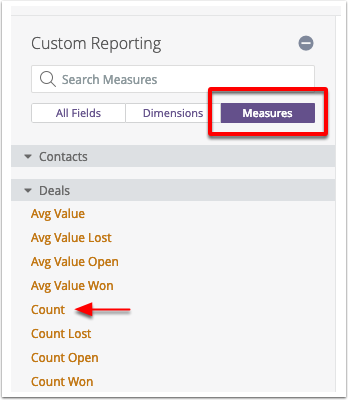 To do so, click the "Measures" tab then click the "Count" option. 6. You'll now need to add a Time Filter to the report. 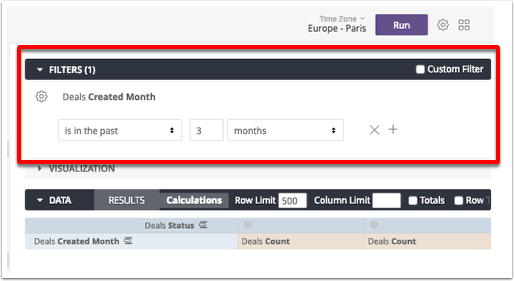 Click the "Dimensions" tab then click the "Filter" button located next to "Created Month." 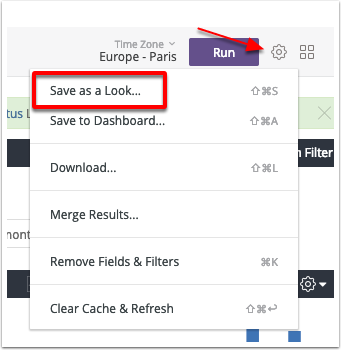 Note that the filter will appear under the "Filters" Header in the center of your screen. 7. Now you'll need to add a Time Filter. 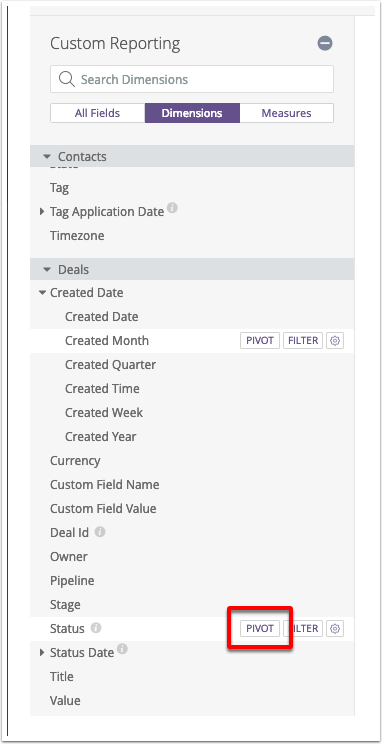 Navigate to the "Deal Created Month" filter located in the center of your screen and type "12" into the second box. 3. In the "Title" field, type a descriptive title. 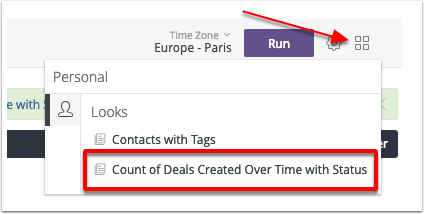 For example, you can type "Count of Deals Created Over Time with Status."